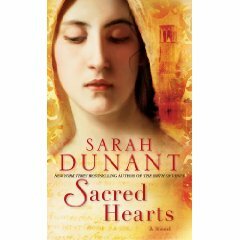 Set in 1570 in northern Italy, Sacred Hearts by Sarah Dunant gives us a fascinating look inside the fictional convent of Santa Caterina. The typical image of a nunnery may be of silence and quiet contemplation, but within those walls there is a community with it’s own secrets, intrigues and power plays. While many women entered the convent voluntarily either as a religious calling or a refuge from a demanding father or husband (in many ways, convents allowed women a level of independence they could never enjoy in the outside world with time to pursue their interests in art, literature, science and education), many were forced to take the veil. In Italy in the late 1500s, the price of a wedding dowry had become so high that most noble families could only afford to marry off one daughter; the only alternative for an unmarried daughter was the convent. When one of these women is sent to Santa Caterina against her will, her fierce determination to escape shakes the very foundation of the power structure within the convent, creating new alliances and seismic shifts in fundamental beliefs. Dunant is an excellent storyteller, peopling her novel with fascinating, complex characters, from Suora Zuana the convent’s apothocary who takes the heartbroken and angry novice Serafina under her wing, to the Abbess whose power – and secrets – are challenged. 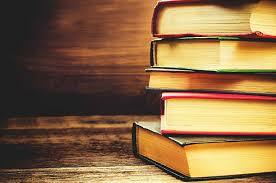 Readers will quickly become immersed in the politics and customs of 16th century Italy. There is – perhaps surprisingly – a lot of action and many tense moments; this book is a page turner. And finally, at it’s very center, it’s a love story – fierce and steadfast against great odds.